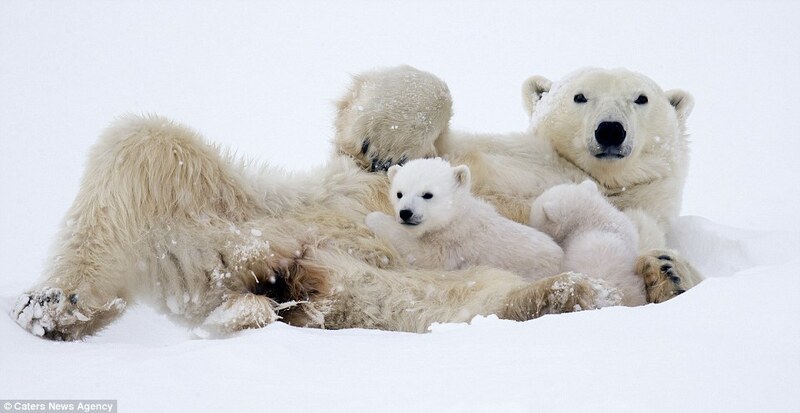 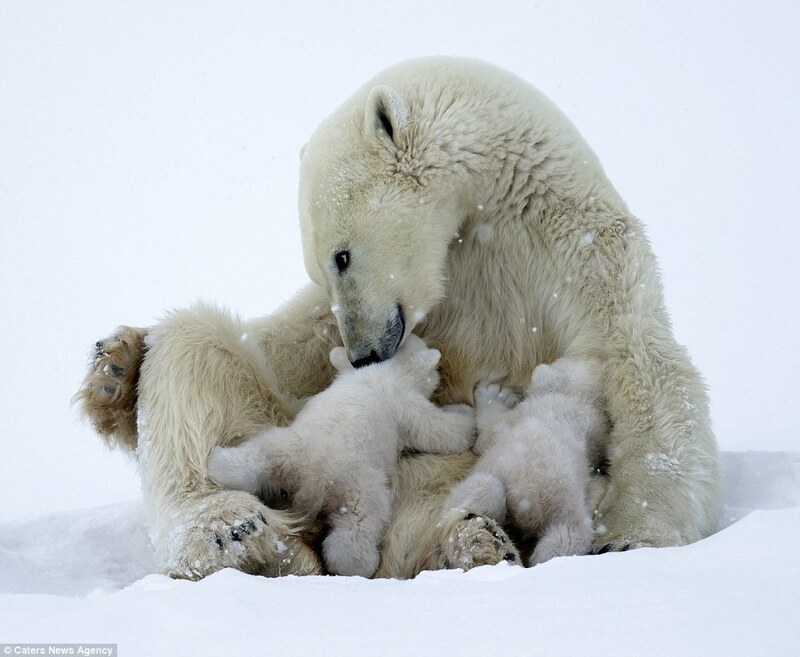 Adorable photographs show a polar bear family snuggling up together to keep warm in the freezing snow. 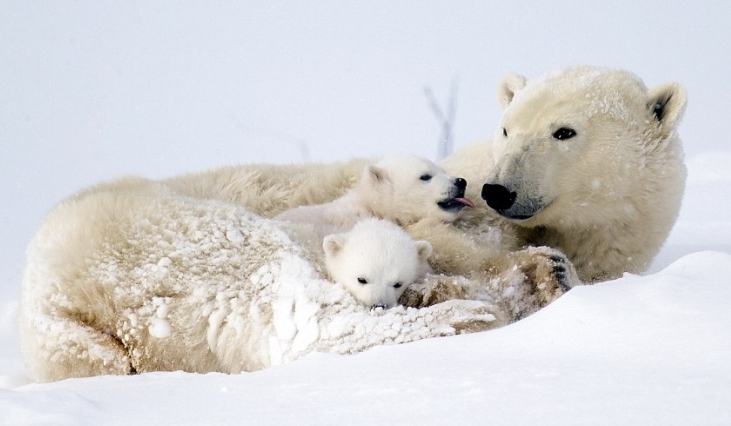 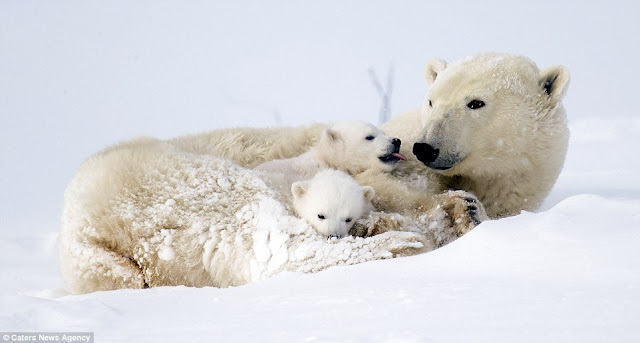 The mother and two cubs can be seen cuddling each other at Wapusk National Park in Manitoba, Canada. 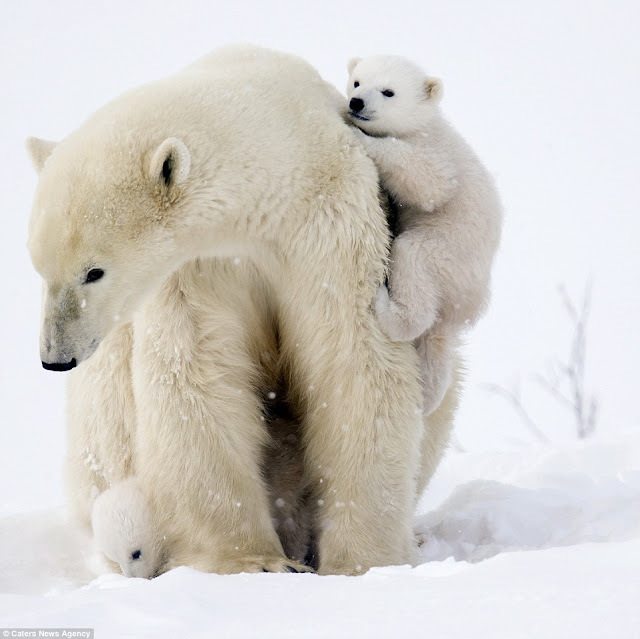 Climbing on their mother's back and embracing her, the cute little cubs look thrilled to be frolicking in the blistering cold climate. 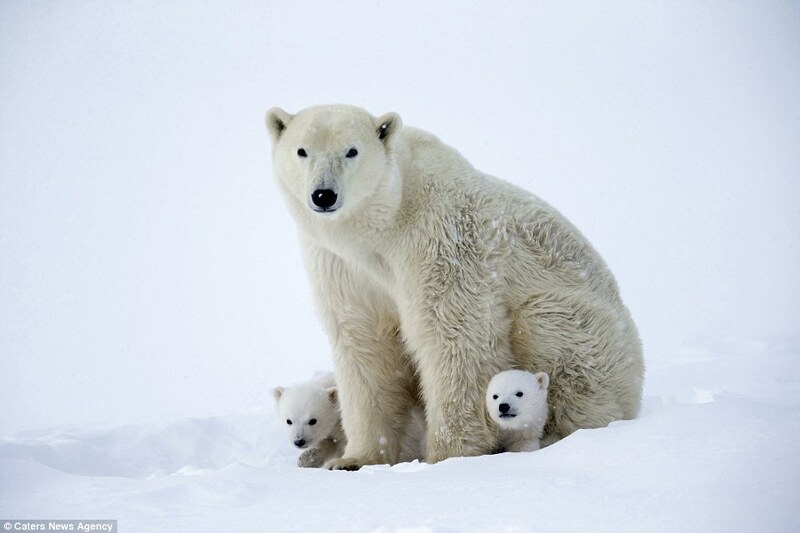 Wapusk National Park protects one of the largest polar bear maternity denning areas in the world. 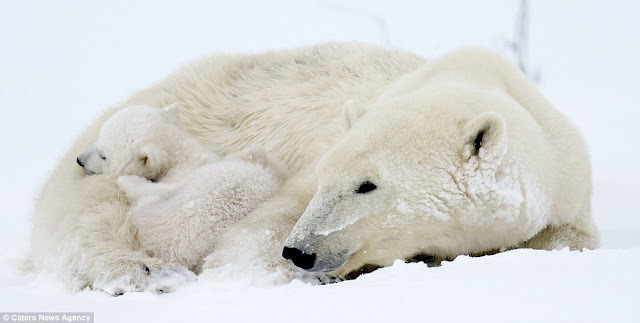 The park, which opened in 1996, stretches over an enormous 2,836,000 acres and is within range of the Western Hudson Bay population of about 1,000 polar bears. In late February, visitors can watch tiny three-month-old bear cubs explore their snowy new world for the first time under the watchful eyes of their mothers. 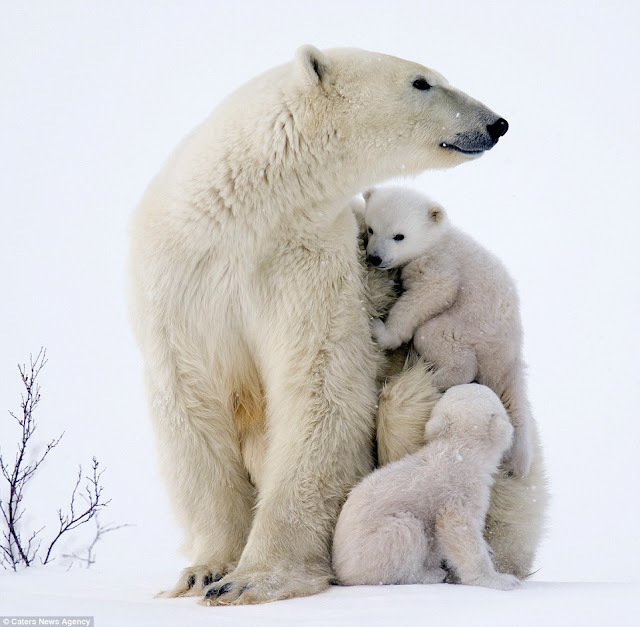 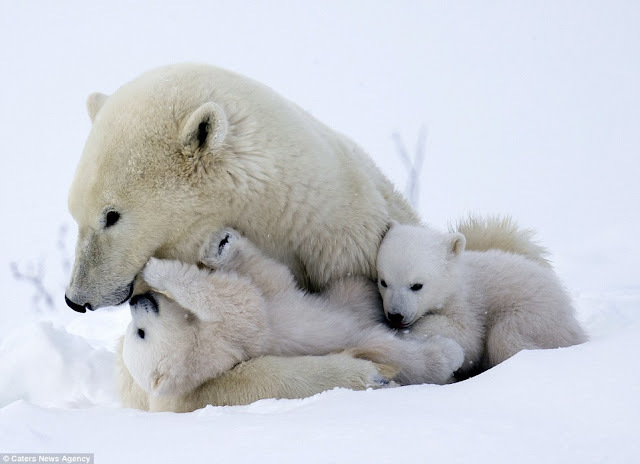 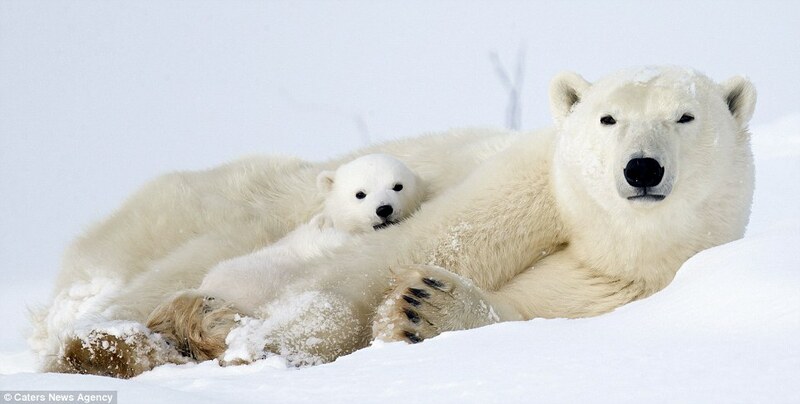 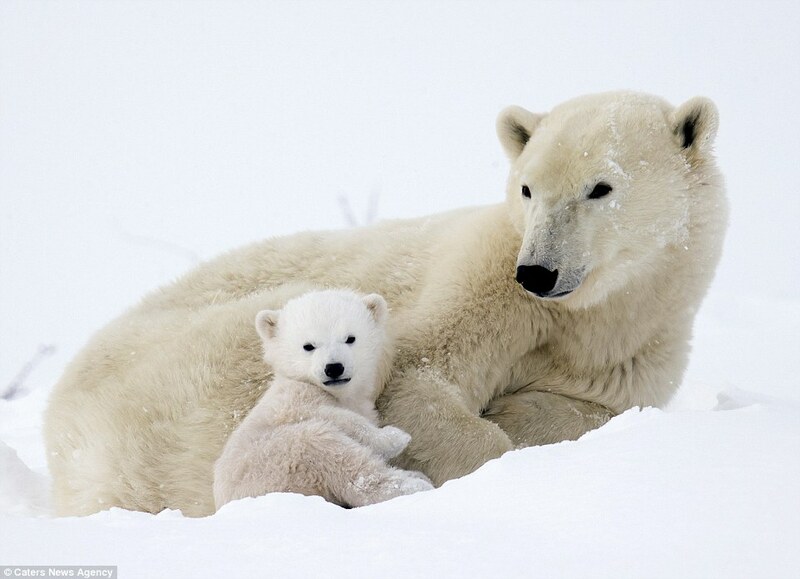 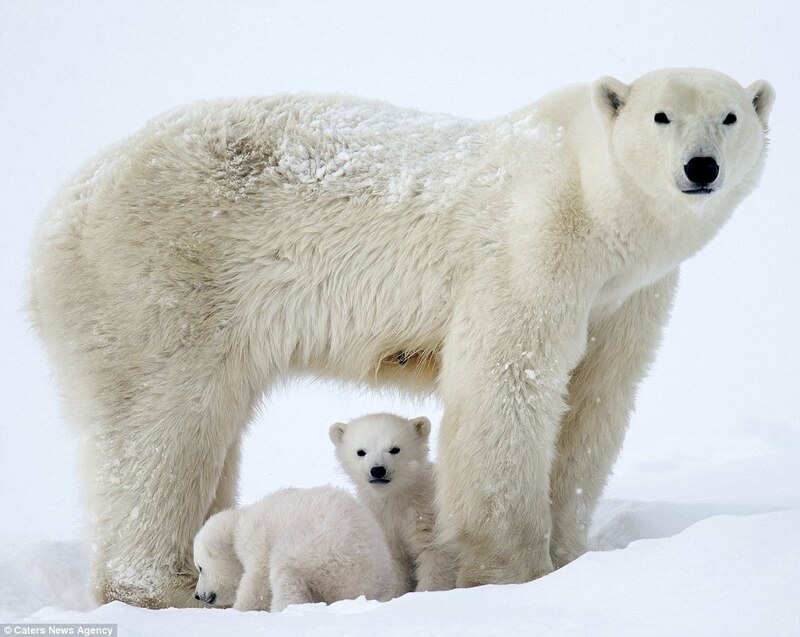 Vince Burton, 44, who took the stunning shots, said: 'It is such a privilege to be there and to witness this, not many people get the opportunity to see a polar bear and its cubs in the world. 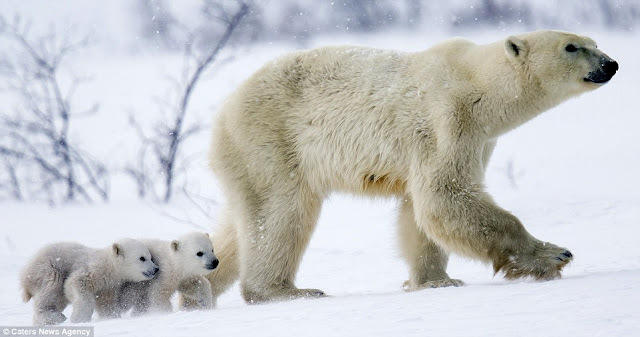 'Even less so possibly going forward as the ice is literally melting from beneath their feet and they are struggling to find food. 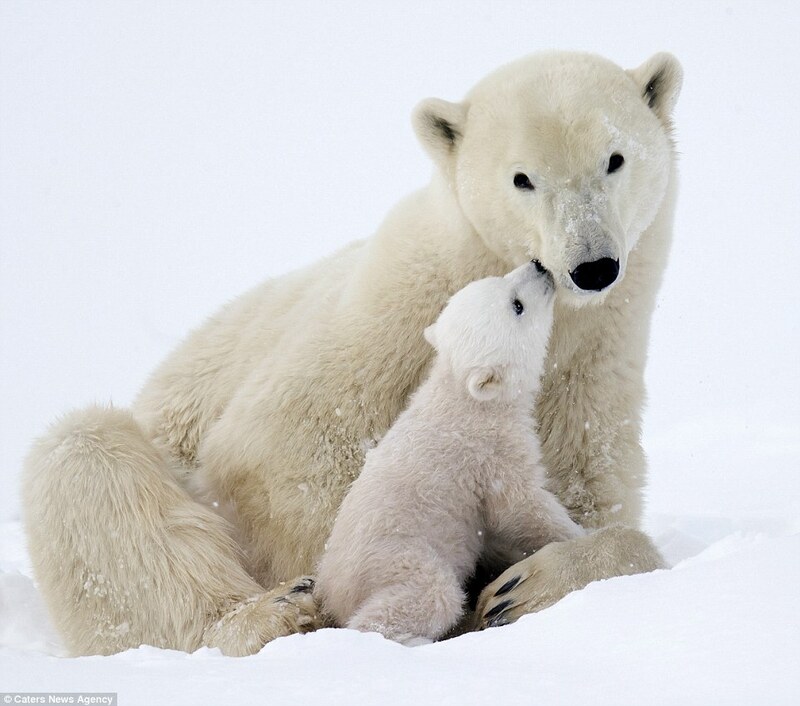 'Its always rewarding when you treat the wildlife with respect, don't upset it or scare it, then it just behaves naturally in front of you as if you weren't even there. 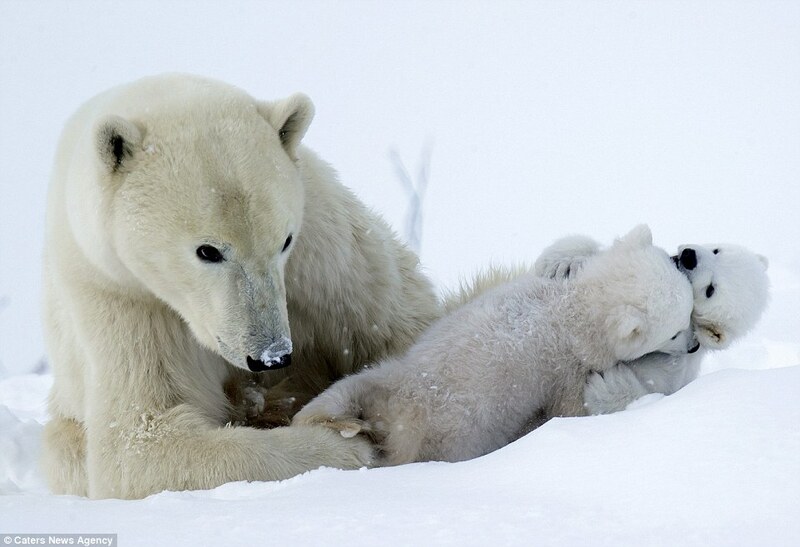 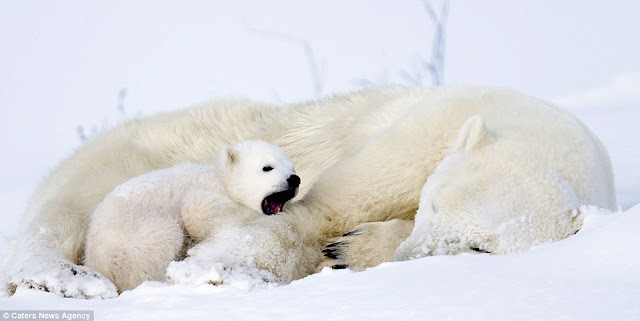 Responses to "Adorable polar bears cubs clamber on mom in Canada"